What images come to mind when you think of Halloween? 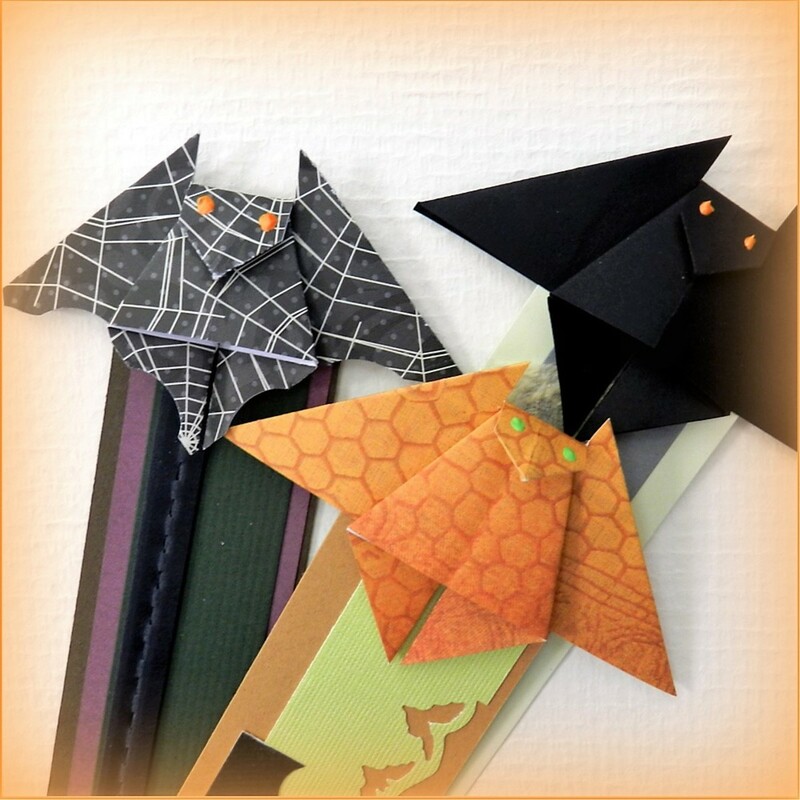 Pumpkins, witches, and goblins, black cats, and—of course—bats! 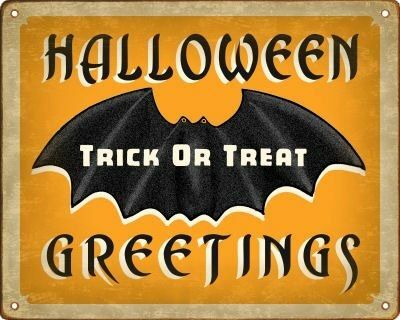 Bats are one of the spookiest and most enduring images of Halloween. But how did the image of this harmless and beneficial flier become a feared harbinger of darkness and evil? The History of Halloween Bats: The black, winged shapes flying through the dusky night sky are eternally linked to Halloween. It may have started long ago, when the ancient Celtics lit large bonfires as darkness approached to ward off the evil spirits of the night. According to the legends, the Celtics believed the ghosts of their ancestors returned to earth once each year on the night of October 31st when the spirits of the dead could cross over into the world of the living. These unruly spirits roamed the lands in search of mischief and mayhem. As protection from the ghosts, the Celtics held an annual celebration on this night, known as Samhain (pronounced as "sah-win"), which also marked the end of the harvest season. The superstitious Celtics, dressed in costumes made from animal skins and hides, gathered around large bonfires to burn sacrificial offerings of crops and animals to appease the demons returning from the the Other World. As the bonfires burned into the night, the glow and warmth of the fire attracted mosquitos and other flying insects into the surrounding area. In turn, the flying insects attracted hungry bats, swooping and darting in and out of the dusky light from the fire in search of their prey. The dark, shadowy and fast moving shapes flying through the semi-darkness may have appeared to the Celtics as the embodied spirits of the returning the dead, and the symbol of the bat became forever embedded in the roots of Halloween lore. Halloween Bats: Friend or Fiend? For centuries, tales and rumors of blooding-sucking bats spread throughout Europe. The evil images of a winged demon stalked the night to prey on the blood of unsuspecting victims while they slept fit perfectly into the dark lore of Halloween. 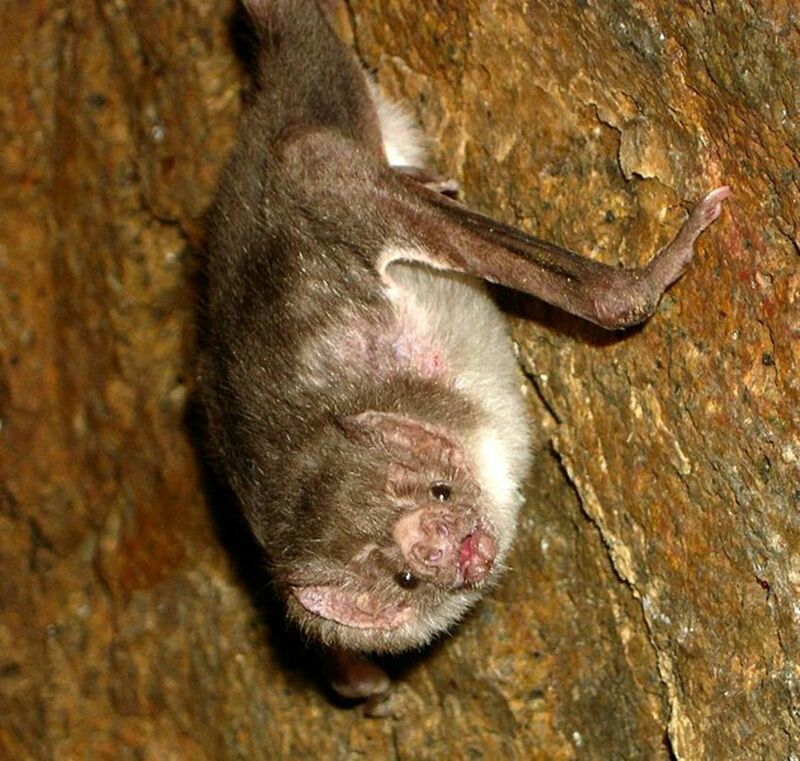 The discovery of the vampire bat in South America by the Spanish in the 17th century strengthened the stories of blood-hungry demons in search of a meal. Many believed that the unfortunate victims transformed mysteriously into human vampires that sought the blood of more victims. As stories of human vampires spread, it was widely believed that the vampire could transform into the shape of the bat -- creating another tie between the evil winged creatures of the night with the symbols of Halloween. ... Or Beneficial Nocturnal Hunters? 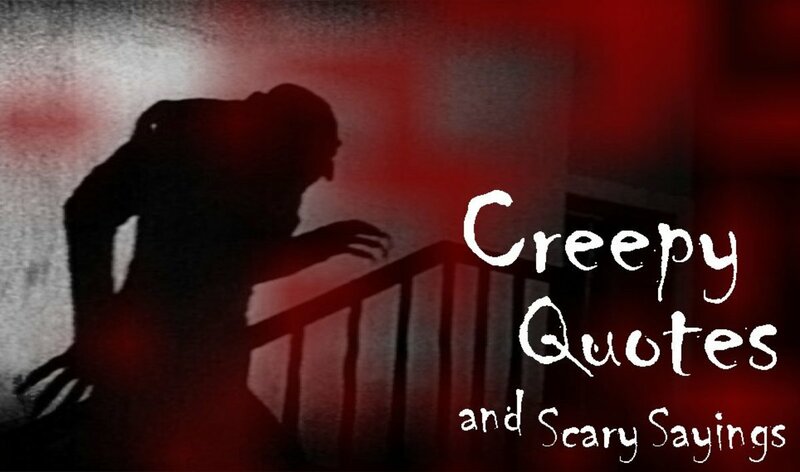 Fortunately, these beneficial creatures are not the evil demons of the dark -- unless you're a moth or mosquito. Bats have voracious appetites, and they can eat over 1,000 flying insects in a single night. They hunt their prey using echolocation, a type of radar that enables the bat to find and zero in on flying insects in total darkness. Contrary to popular myths, they are not blind. In fact, most of the bat species have excellent eye sight. Some species, such as the Flying Fox, eat a diet of fruit and help disperse the seeds to rejuvenate the forests where they live. Others are important plant pollinators, spreading pollen from plant to plant as they search through the flowers for nectar. Sadly, many of the world's bat species are in serious decline, threatened by the loss of habitat for nesting and for roosting sites. You can help by hanging a bat house to encourage these interesting, harmless and beneficial predators to take up residence in your yard. “Not every winged creature is considered a bird or a bat. Some wings are made of magic." Bats are not flying rats, and they are not even related to rodents. They belong to separate class of animals known as Chiroptera when means hand-wing. Bats are the only mammals that are capable of true flight. They do not fly at people, and they will not get tangled in your hair. They use echolocation to hunt their prey and navigate through the darkness. There are over 1,100 species of bats worldwide, and only three species are vampires. All of the rest eat insects, fruits, nectar and pollen. Bats are important pest controllers, eating billions of insects every year. A single animal can catch and eat over 1,000 insect each night. Fruit and nectar eating species are important pollinators. They also disperse seeds from the fruits that they eat. Bats have excellent vision. They are not blind. They can live over 25 years. Females give birth to only one young per year. The Flying Fox is the largest bat, with a wingspan of over six feet. Bat populations are threatened by White Nose Syndrome. The disease is highly contagious, and many of the populations are in serious decline. About half of the species found in the US are listed as threatened or endangered. You Need Not Call the Devil. He'll Come Without Calling. 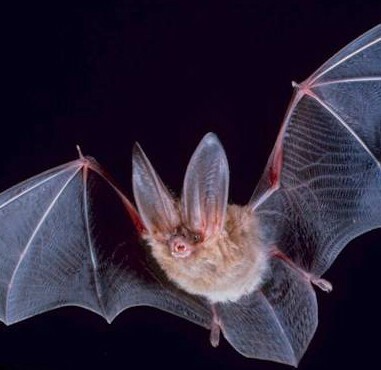 Give these special animals a place to live by hanging a bat house. Little brown bats are welcomed visitors to our yard, circling around the tree tops at dusk and swooping down in search of a meal. I even made a wooden bat home for them so they'd visit more often. If you want to build your own box, I've created a thorough set of step-by-step bat-home instructions. Preying on insects, a bat is capable of catching and eating hundreds of mosquitoes and other flying pests every evening. 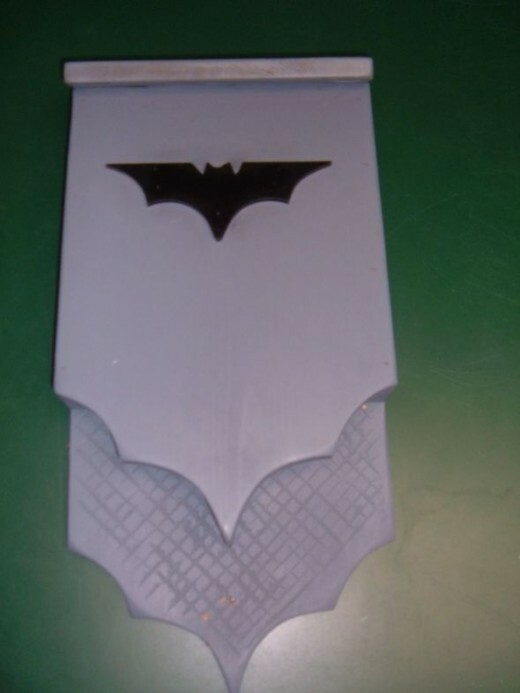 Bat houses are available in different sizes through various online retailers, or you can build one yourself. Just make sure that the roosting box is built to the dimensions and meet the basic roosting requirements of the species found in your local area. Where you hang a bat house is also important for attracting these finicky residents. Face the box towards an open area, preferably with a southern exposure to maximize the amount of warmth from the sun, and mount it at least 10' up from the ground. The higher, the better. The Conservation's mission is to conserve the world's bats and their ecosystems to ensure a healthy planet. Information and conservation for the declining populations in the Northeast. The Conservation is dedicated to protecting bats, other wildlife, and the ecosystems they need to survive. This is the largest grass-roots bat conservation and education program in the U. S.
Envisioning a future where the essential role of bats is understood, where the public recognizes their vital place in our environment and economy, and where all are inspired by this unique animal’s remarkable attributes and invaluable contributions. Bats are highly beneficial to people, and the advantages of having them around far outweigh any problems you might have with them. As predators of night-flying insects (including mosquitoes! ), they play a role in preserving Nature's natural balance. Do you have a Bat Experience to share? I find bats scary and thankfully have never had an experience with one. We LOVE bats and have "adopted" a bat in the past. I think it was through the US national parks service.As a kid, I remember having very fun, scary nights of running around outside on Vancouver Island, screaming our heads off because the bats were flying around. At the same time as screaming, we would shout "Don't let them get in your hair! "Now - why in the world would a bat want to be in your hair? That is such a hilarious story. They have such awesome radar and they want nothing to do with anyone's head. hee hee hee.I have discovered masses of baby bats that were nesting between a cottage door and the screen door. It was very sad that we had interrupted their home.Thank you for writing about bats - Halloween is a great time to profile their importance in our world. Happy Howloweeeeeen. I love bats, some are even pretty cute. Those flying fox bats are huge! Cool lens. When I was a kid, we visited my grandparents in New England, and my uncle showed me how to catch bats in a baseball hat. It's one of my oldest memories.. I won't teach my kids how to do it, but my 6 year old is itching to build bat houses now. Great information. I used to enjoy watching bats, but haven't seen on in our area in years. We love our neighborhood bats. Boo-lessed! Oh, I forgot to mention something I thought of when I was reading about vampire bats. I saw a video a while back of them feeding on cattle and whoever was doing the video even let them feed on him for study purposes...don't think I'd ever go that far to help the little guys out. It seems that I remember that something in their saliva prevents the blood from clotting while they feed. 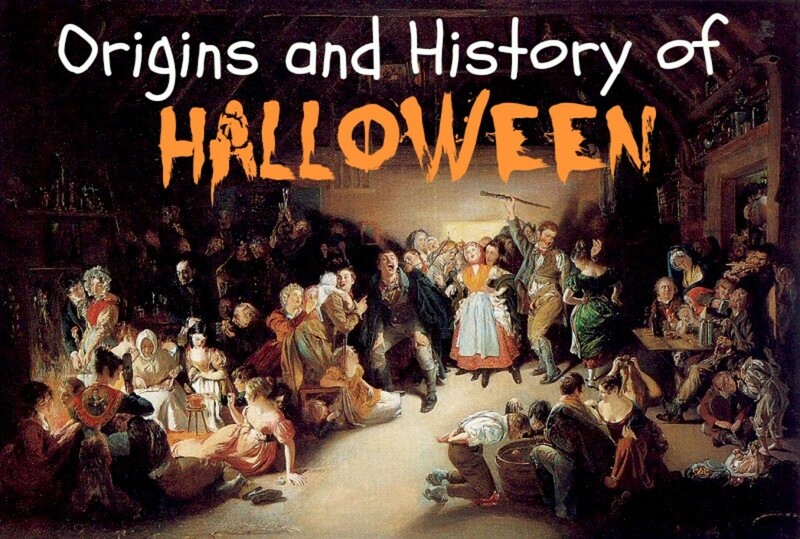 I love how you traced the history of how bats became associated with Halloween as they were just not so spookily looking for something to eat...insects gathered around the Celtic fire. I guess you would be considered a friend to bats as you educate about their benefits to us and even give us a plan to make our own bat houses...they are good neighbors to have for sure. BOO to you...you've gone bats!